Your Other Warehouse (YOW) is a provider of plumbing products that’s based in the city of Baton Rouge, Louisiana. It was founded more than 20 years ago as a spin-off of the LCR Corporation, and its products are currently sold all over the country. 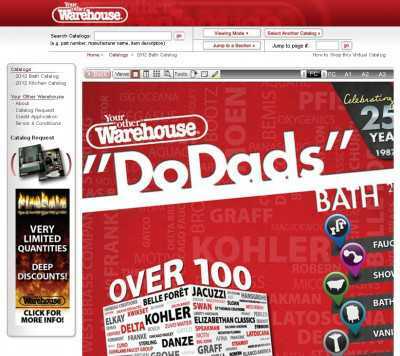 The company’s website (YourOtherWarehouse.com) enables just anybody to browse through its newest bath and kitchen catalogs, and have products ordered straight from his home computer. Your Other Warehouse stocks more than 50,000 products, and it currently works with all the most prestigious brands in the market. Belle Foret, Zuvo Water, Speakman, Graff, World Imports, Grohe, Jado… All in all, YOW deals in product from more than 100 different brands. These are split in the following categories: “Faucets”, “Showers”, “Baths”, “Vanites”, “Lavatories”, “Toilets” and “Accessories”. You can check all these products online, and order the ones you want. And you’re not required to buy a minimum number of products, you can order just as many as you need. 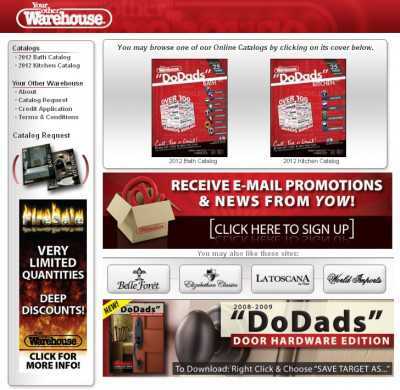 And if you prefer to shop using a print catalog instead, then you can easily order one here. The site has also got a section where you can apply for credit – just follow this link, fill out the form that’s included there, and you’ll be ready to buy whatever you want and pay it off without even noticing.